San Juan Capistrano is a city located just east of San Clemente and Dana Point in South Orange County. San Juan Capistrano is rich in history with the historic Mission San Juan Capistrano and the quaint downtown area that has a strong Spanish architecutal influence. The Forster family was one of the main land holders of San Juan Capistrano in the late 1800's and early 1900's. In 1910 the built the famous and onne of the most notable historical homes in San Juan is the Forster Mansion, which still stands today. 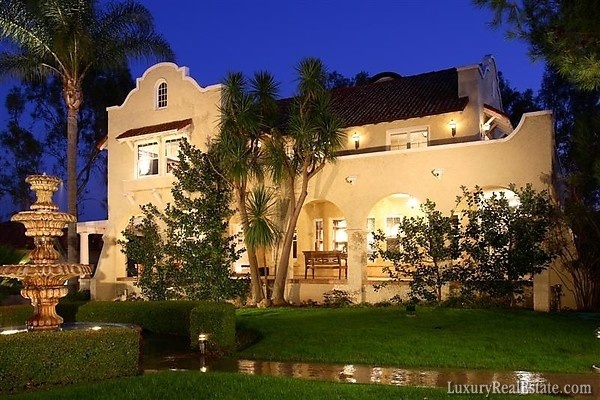 Homes in San Juan Capistrano can range from a small single family home in the $300,000 range to 10 million dollar mansion in the various gated communities located in the hills of San Juan. One of the newer communities in San Juan is Pacifica San Juan by Sea Country Homes. If you are looking for a historical home in San Juan then the central downtown area is where you will find them. Very few of the historical homes still stand here in San Juan so these homes tend to sell fast when they come on the market. Most tourist equate San Juan Capistrano to the swallos that come here every year to migrate.